Enhance your beverage service with the Winco WPB-3 Stainless Steel Deluxe 3 Qt. Bell Water Pitcher. Constructed from stainless steel, it can endure heavy use without rusting or denting. 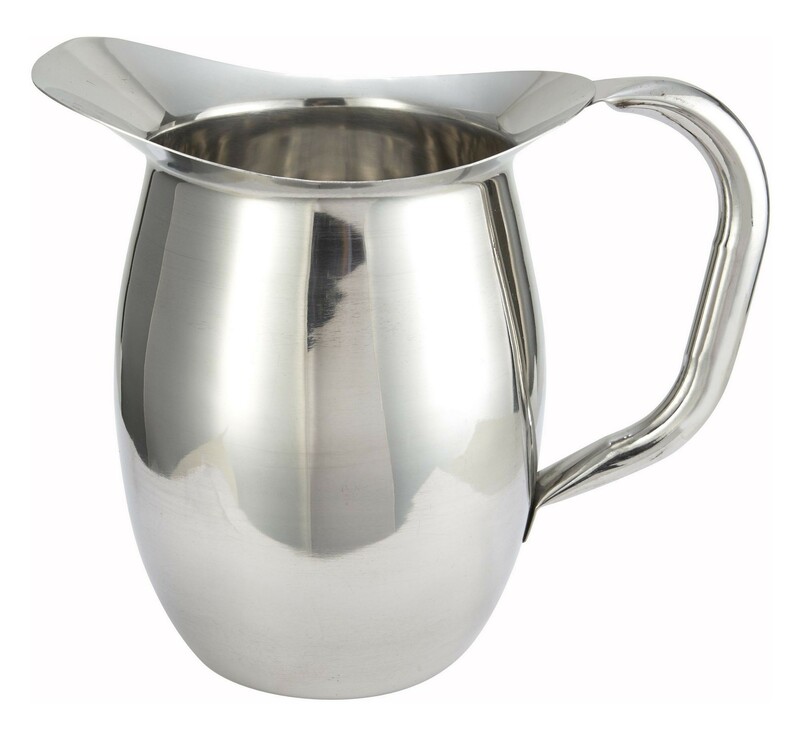 In addition, its classic design and polished mirror finish makes it attractive enough for any dining setting. This bell water pitcher has a curved spout that helps minimize drips and its hollow tubular handle provides a comfortable and sturdy grip. Use it in your hotel or restaurant when you serve lemonade, iced tea, juice or any other beverage. 9-3/10" x 6-1/2" x 9"
I liked in the pitcher and it was received quickly.